Famous people say a lot of famous things. And those famously pithy phrases are gathered for your reading pleasure and reference, in published collections of quotations. This is the story of how I harvested a song from one of those collections. I have written some songs. One song that I “wrote” is titled Bartlett’s Tale. 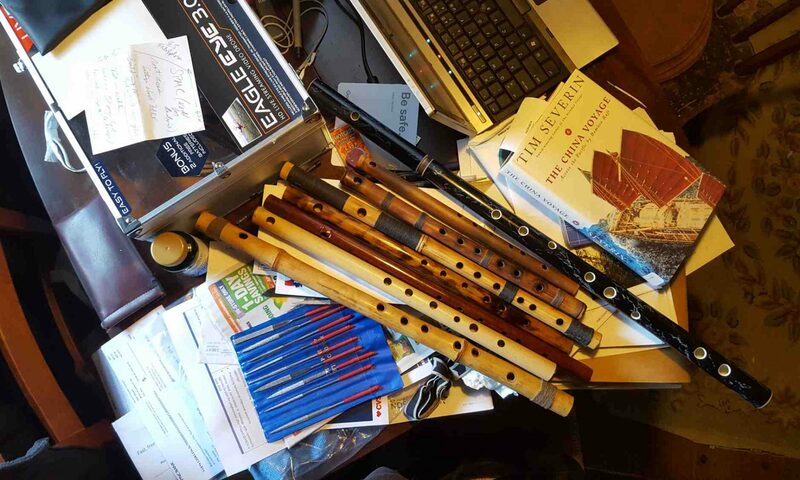 When I composed Bartlett’s Tale, I wasn’t feeling particularly inspired. I didn’t have a clever story or situation in mind, but I wanted to write a song. At other times I have not had any problem with inspiration or subject matter. I wrote a song about wanting to star in the next Tarzan movie, called Tarzan #19 (A position that has since been taken. Darn). I wrote a song about eating a peach that tasted like a baseball. Well, that’s what peaches taste like in March, in the northern hemisphere, right? I leafed through the main text, with all the full quotations, for half an hour. And, after stumbling through numerous turgid verses (Friends of my youth, a last adieu! Haply some day we meet again; Yet ne’er the selfsame men shall meet; the years shall make us other men. Joseph Warren Fabens) and more suchlike, I thought…Forsooth, this is begetting me nowhither. 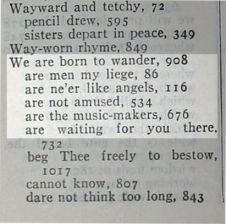 So I turned to the index, and found my song. 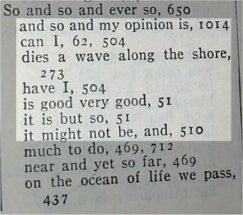 The short phrases in the index seemed perfect for song lyrics, so I thought about it for a few minutes, and decided to just let Mr. Bartlett write the song for me. I just had to choose where to look. 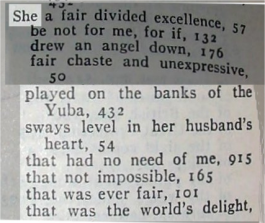 I thumbed my way to the S-section of the index, and started with She. I figured that the first verses of many songs starts this way, it’s tried and true…and, it will set the subject of the song in place; She, whoever She is. So, the He verse did not materialize within the index, and by this time I had decided, after the success of the first verse, that all the verses would have to come straight out of the index, in whole chunks. Now I needed a bridge/chorus. If I were writing this out of my own imagination, I would be groping for a an aside, a junction, something to tie the first two verses to some greater wisdom or truth. To bring She and I together…. We are the music makers, we’re waiting for you there…. So that’s how it all went down. I purposely haven’t expounded here in any depth about what I think the song says, what each verse seems to mean, to imply. But when I was “writing” the song, I was looking for the bare framework of intention, of a shape, just enough of a nugget of narrative that it would work as a song. Usually when I write a song, I write the music first. Sometimes the words and music come about together. Rarely, I write the lyrics first. 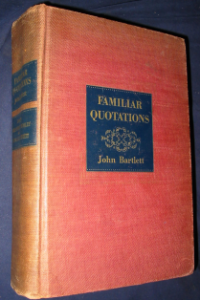 Bartlett’s Tale had been sitting there in the index of Bartlett’s Quotations since 1937, waiting for me, so I guess this was the rare case, for me, when the lyrics came first. Some songs don’t need much cohering substance, it seems. The music itself carries flavor, nuance, emotion. Simple songs don’t always need to be crystalized distillations with clear and obvious motives or stories or symbols. Think…She Came In Through The Bathroom Window….